Hire our Steenbeck machine, for use onsite at our offices in London. 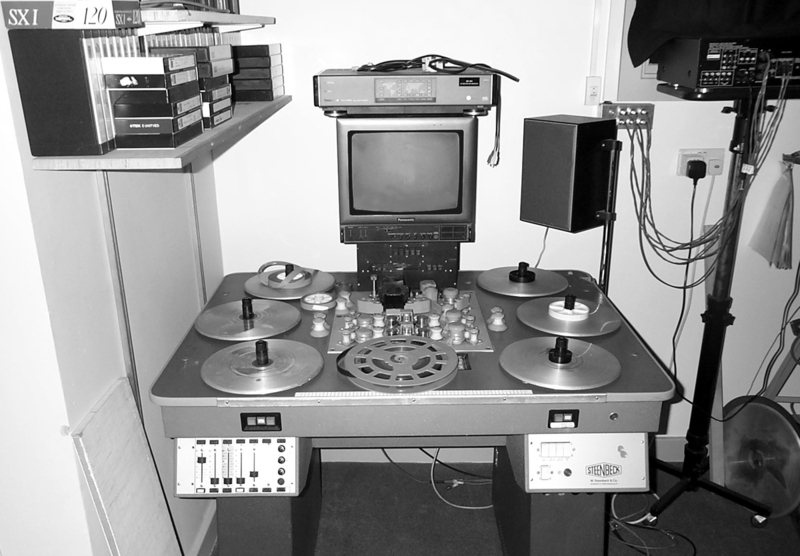 The Steenbeck is capable of playing back obsolete video formats. To make a booking or for more information email frazer@learningonscreen.ac.uk or call 020 7393 1503.